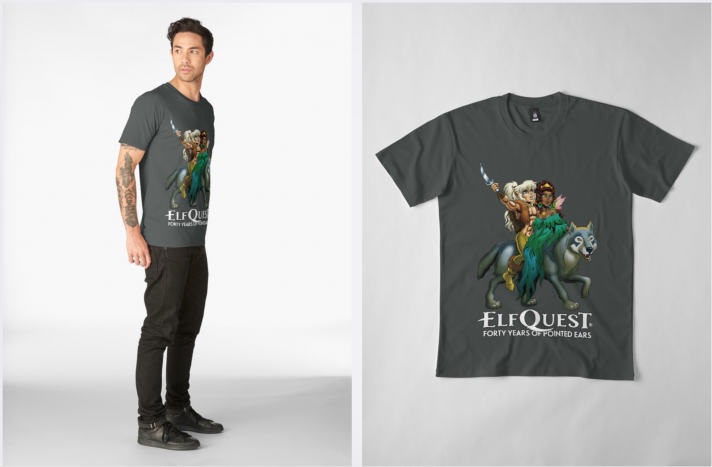 Three new designs have been added to the ElfQuest Redbubble Shop to celebrate the conclusion of the Final Quest and the completion of Cutter Kinseeker’s Hero’s Journey. 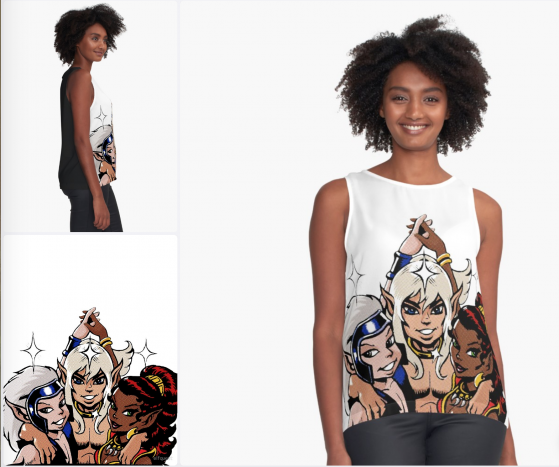 Pick your favorite design–or all three of them–to be custom-printed on clothing, framed prints, smartphone and tablet covers, mugs, clocks, stickers and dozens of other items by Redbubble. First is the “Classic Trio” design, complete with the vintage comic book pixel coloring. 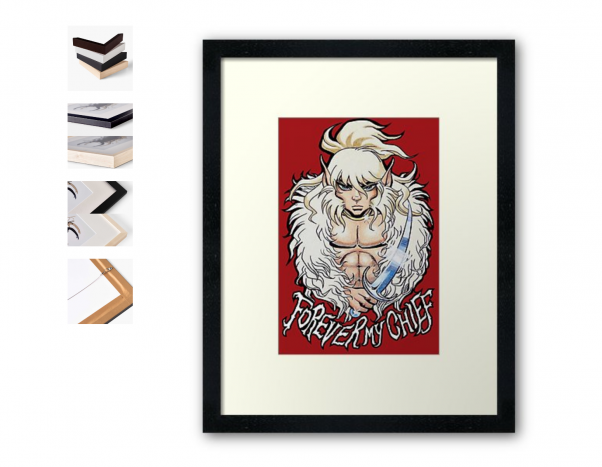 Next is the “Forever My Chief” design, sure to fill you with emotion after the conclusion of Final Quest. 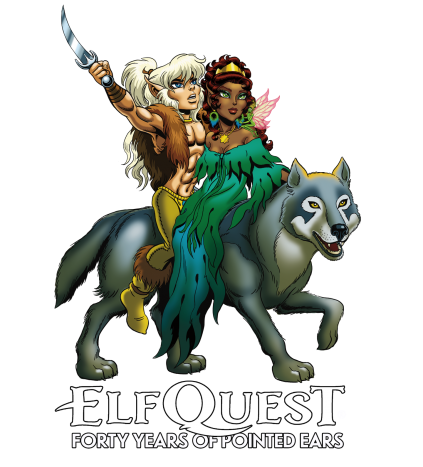 The third is the “Forty Years of Pointed Ears” design, which will be available exclusively during 2018, after which it will be retired, so get it today. 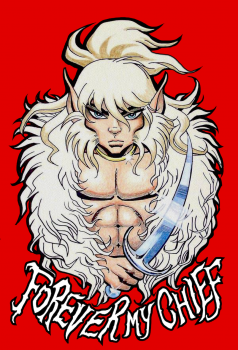 It’s the perfect design to use to enter our 2018 #FortyYearsOfPointedEars social media contest to win an exclusive ElfQuest prize box containing rare or out-of-print items and an original character sketch by Wendy Pini. Here it is featured on Redbubble’s premium t-shirt. 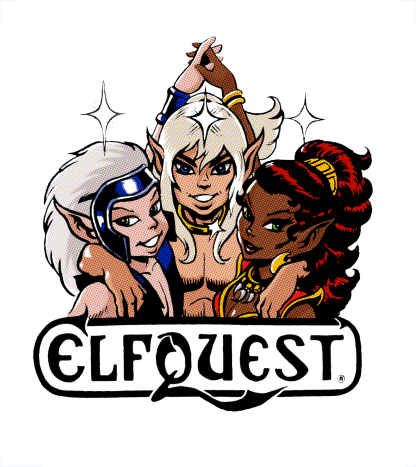 Find these and many more designs in the ElfQuest Redububble Shop.